You've got the tools, you've got the talent, but do you have the bottle opener? 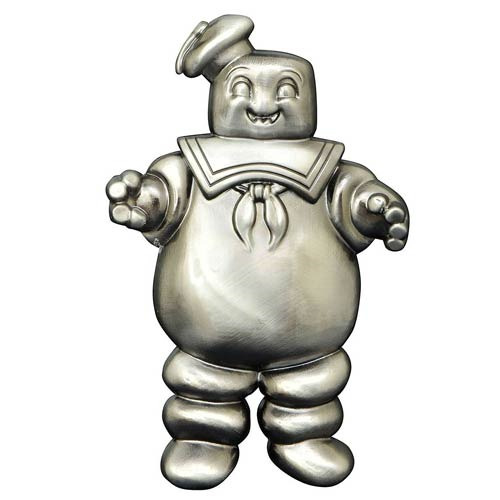 The Stay-Puft Marshmallow Man can open anything: churches, gateways to other dimensions, you name it. Now, this Ghostbusters Happy Stay Puft Marshmallow Man Metal Bottle Opener will open up your favorite bottled beverage and magnetically stick to your refrigerator door! Packaged in a full-color slipcase. Ages 13 and up.